Open source extension of Apache Nutch. Is there a better alternative to Arch? Is Arch really the best app in Applications category? Will Arch work good on macOS 10.13.4? 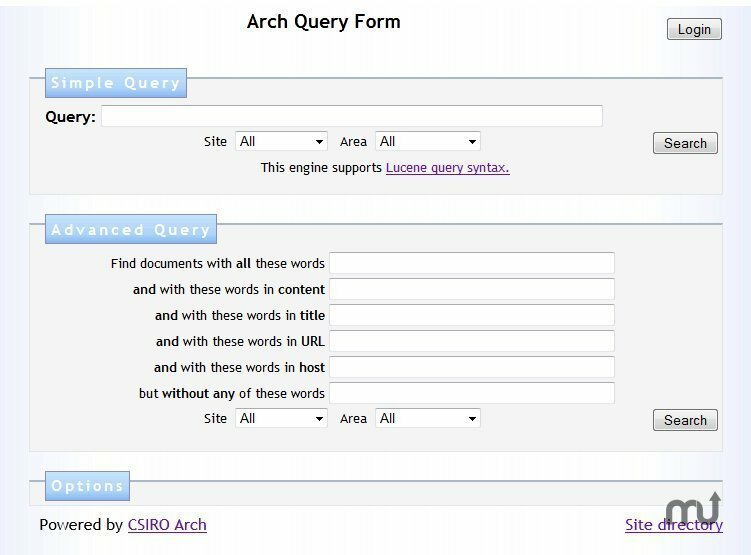 Arch is an Open-Source extension of Apache Nutch (a popular, highly scalable, general-purpose search engine) for intranet search. Not happy with your corporate search engine? Not surprising, very few people are. To the best of our knowledge, there are no intranet engines that work as well as the Google's global Web search does. There is a fundamental reason for this: the algorithms used by Google on the global Web (or similar) do not work nearly as well on intranets for the lack of statistical data. Arch (finally!) solves this problem. Arch needs a review. Be the first to review this app and get the discussion started! Arch needs a rating. Be the first to rate this app and get the discussion started! Faceted search "out of the box"
An extensive and extensible set of parsers for parsing a variety of file formats: HTML, PHP, PDF, MS Office, Open Office, etc.